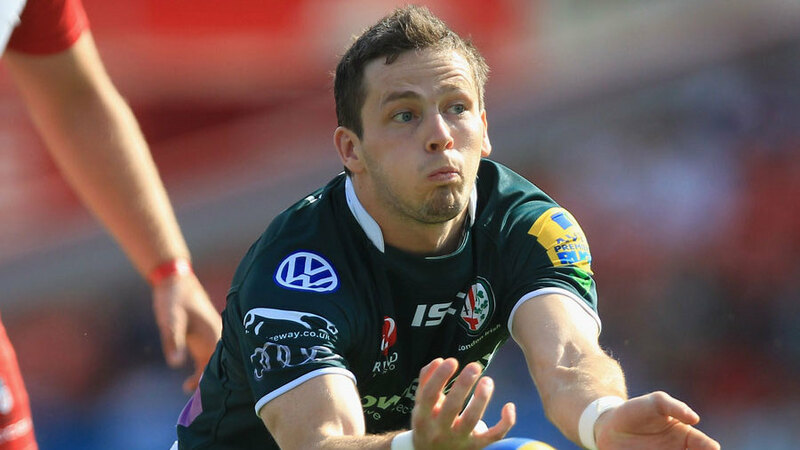 London Irish have announced that four players have committed their immediate future to the club. Halani Aulika, Shane Geraghty, Darren Allinson and Tom Fowlie have all extended their stay in Sunbury - a further boost to a side which recorded a big victory over fellow strugglers Worcester Warriors at the weekend. Tongan prop Aulika - the Exiles' 'player of the season' for last season - has signed a deal keeping him at the Premiership side until 2016-17. Shane Geraghty, who re-joined the club last summer, and former Cardiff Blues scrum-half Darren Allinson have both penned deals extending their stay at the Madjeski Stadium outfit by three years. As well as tying down three senior players to deals, there is also a two-year extension for promising 18-year-old winger Fowlie - who has featured for the club this season in both the LV= Cup and Amlin Challenge Cup. Director of Rugby Brian Smith said: "It's a great way to start the New Year and extremely positive news for the Club and our supporters. I'm delighted that all four of them have committed their futures. "It has been an exciting period for the Club off the field and the players are excited by where we want to go on the field. "Tom Fowlie is going to be a huge part of this Club going forward and it is great to see Academy talent coming through the Club and going on to represent the first team."